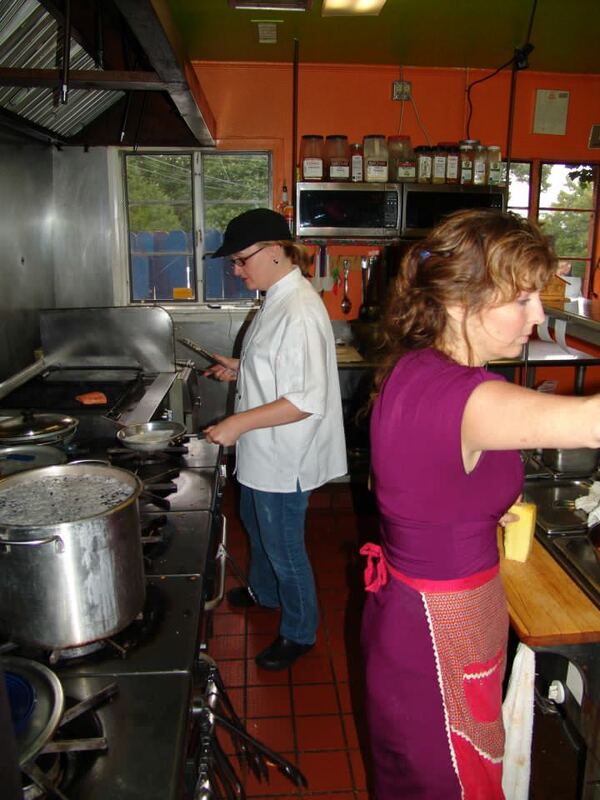 Stage #1: Me (left) in the kitchen of Caribe Restaurant y Cantina in Eureka Springs, with owner Kelli (KJ) Zumwalt. When I was about to graduate from culinary school, I knew I wanted a little more experience working in real restaurant kitchens. Coming from a writing/PR background, I’d never even so much as waited tables before. I still had a lot to learn. The idea came to me — do a stage. (A stage, pronounced “stazj,” is industry speak for a short-term internship at a restaurant.) A bunch of them. And write about it, too. Stages, I figured, would help me gain a little bit of insight from lots of brilliant chefs across the state, insight that I can share with you (my readers) and people I teach in person. It also fit fairly well into my busy schedule as a wife and mother. Now the real deal: It’s terrifying. At least, it is before I walk in the door. I suddenly have the thought that I really don’t know how to cook at all, and I have no business pretending. Sometimes, I imagine, I’ll be right. Follow along as I stumble into professional kitchens across Arkansas and beyond, from humble diners to fine dining. You’ll probably learn something along the way, just like I did. Interested in having me do a stage at your establishment? Email me.